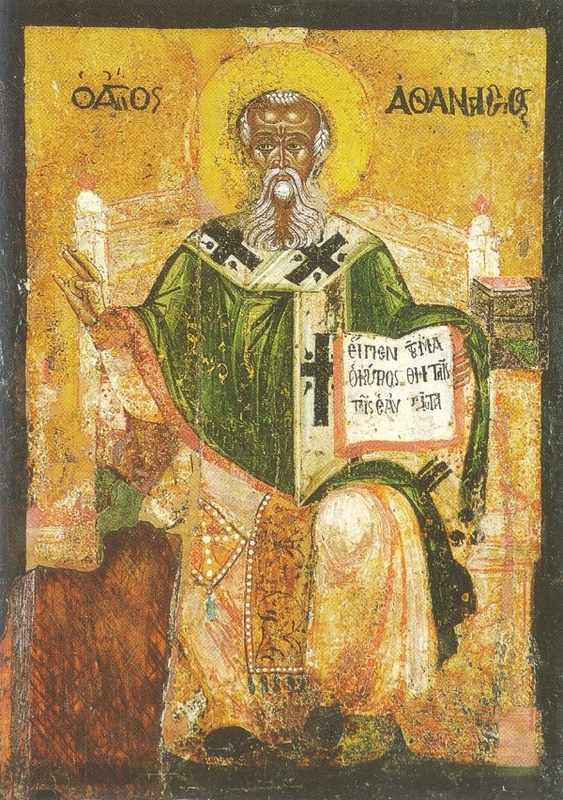 Today is the feast day of St Athanasius (c.296-373), the great "Doctor of the Church" who championed belief in the real divinity of Christ at a time when many in the Church were embracing ideas about Jesus not unlike the beliefs of modern liberal theologians on the one hand, and groups like the Jehovah's Witnesses on the other. (There is nothing new under the sun!) If you want a direct link to each of the chapters of "On the Incarnation", use the search facility in the sidebar. Among all the books, the Psalter has certainly a very special grace, a choiceness of quality well worthy to be pondered; for, besides the characteristics which it shares with others, it has this peculiar marvel of its own, that within it are represented and portrayed in all their great variety the movements of the human soul. It is like a picture, in which you see yourself portrayed, and seeing, may understand and consequently form yourself upon the pattern given. You find depicted in it all the movements of your soul, all its changes, its ups and downs, its failures and recoveries. Moreover, whatever your particular need or trouble, from this same book you can select a form of words to fit it, so that you do not merely hear and then pass on, but learn the way to remedy your ill. The marvel with the Psalter is that, barring those prophecies about the Saviour and some about the Gentiles, the reader takes all its words upon his lips as though they were his own, and each one sings the Psalms as though they had been written for his special benefit, and takes them and recites them, not as though someone else were speaking or another person’s feelings being described, but as himself speaking of himself, offering the words to God as his own heart’s utterance, just as though he himself had made them up. Not as the words of the patriarchs or of Moses and the other prophets will he reverence these: no, he is bold to take them as his own and written for his very self. Whether he has kept the Law or whether he has broken it, it is his own doings that the Psalms describe; every one is bound to find his very self in them and, be he faithful soul or be he sinner, each reads in them descriptions of himself. The Lord, the true Lord of all, who cares for all his works, did not only lay down precepts but also gave himself as model of how they should be carried out, for all who would to know and imitate. And therefore, before he came among us, he sketched the likeness of this perfect life for us in words, in this same book of Psalms; in order that, just as he revealed himself in flesh to be the perfect, heavenly Man, so in the Psalms also men of good-will might see the pattern life portrayed, and find therein the healing and correction of their own.